WASHINGTON CITY — A crash near the Interstate 15 Exit 16 on-ramp led to its temporary closure while emergency responders cleared the scene Friday night. 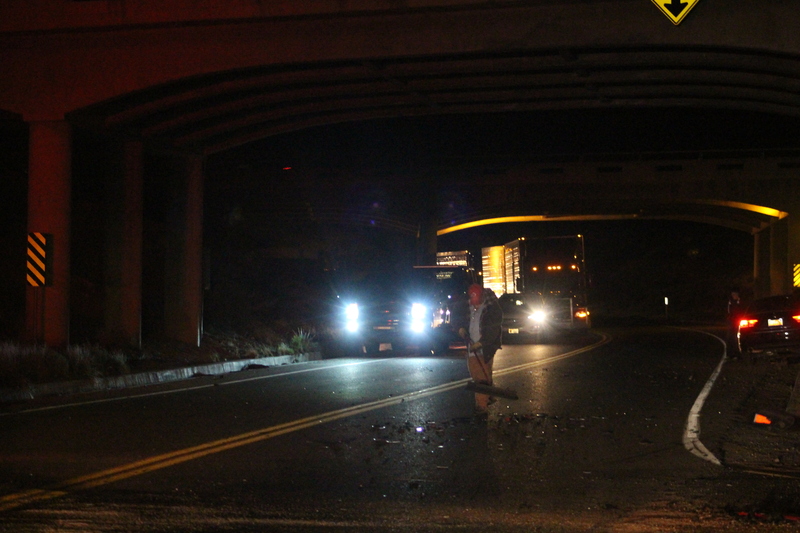 Emergency personnel responded to the scene of the crash at approximately 9:20 p.m. on State Route 9 just before the southbound freeway entrance. The crash reportedly involved two cars, a black passenger car and a red Volkswagen. The cause of the incident was unknown at the time this report was taken. A witness at the scene who was coming upon the freeway entrance to go south said she heard a crashing noise then drove forward to see the wreck. The witness, who said she worked as an emergency medical technician for 20 years in New York, called 911 then checked on the cars’ occupants and helped direct traffic around the area. Medical responders also arrived and examined those involved in the crash. Family members of the cars’ occupants told St. George News no one involved was transported to the hospital, though there were complaints of some minor injuries. 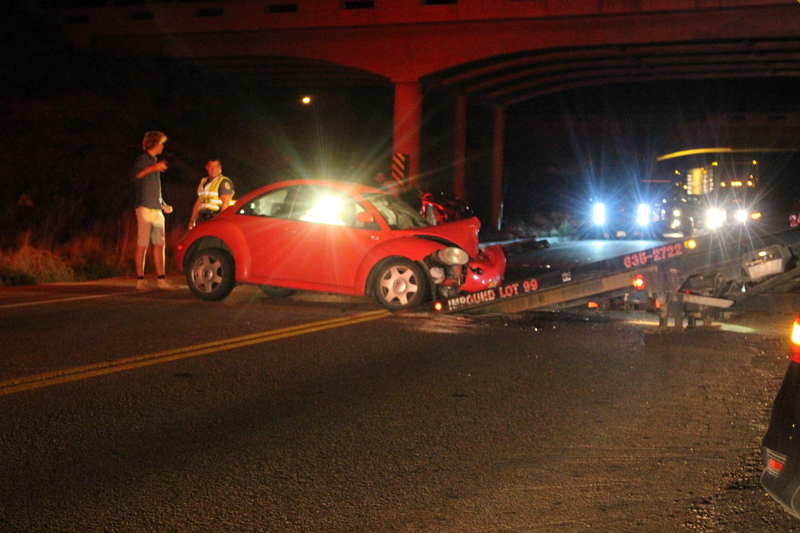 Both cars sustained heavy damage and had to be towed away. Traffic was blocked from entering southbound Interstate 15 for approximately 45 minutes as the scene was cleared. The northbound entrance was unaffected. Responders from Hurricane Valley Fire District, Hurricane Police Department, Washington City Police Department and Washington County Sheriff’s Office arrived and tended to the scene of the crash. We’ve been telling Udot for years this bridge underpass needs to be widened, too much traffic, which 99% of the time will not let you merge onto the SR9 / I-15, so you take a chance each time, not even any paved side of the hwy to pull over to let the traffic pass by, then to merge….many times we’ve had no choice but to have to enter the north bound I-15 then drive to Leeds 5 miles away, then turn around and drive 5 miles back just to get started again…..fix this mess Udot, widen the lanes to two lanes in each direction along with the south bound on ramp….